Video surveillance is growing exponentially. The market is predicted to pass $60 billion in the next five years as both private citizens and organizations look for ways to improve commercial property security. Installing surveillance tools can help companies improve business operations and boost productivity while reducing instances of workplace violence and harassment. The caveat? 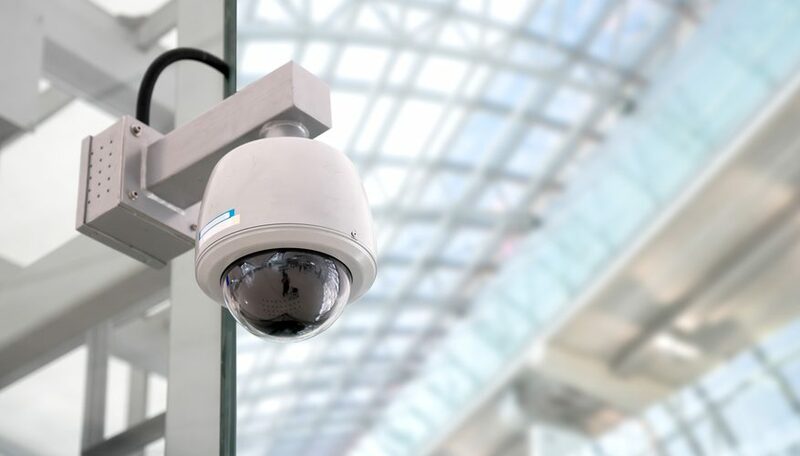 With HD video monitoring systems, virtual guard systems and outdoor time-lapse cameras making it easier than ever to increase security, it’s easy for managers and owners to overlook specific surveillance codes and laws. Let’s examine four that often fly under the radar. Typically, installing video cameras in the workplace to help monitor day-to-day operations, manage employee behavior and secure property overnight presents few legal challenges. In many cases, the reduced expectation of privacy in communal working areas makes it legal to install hidden cameras without informing staff of their operation. But there’s an exception: Unionized workers. Unionized workers often make the subject of hidden cameras part of their collective agreement negotiation and stipulate that all staff must be notified of any operational cameras. What does this mean for business owners and managers? If you don’t have unionized staff, theoretically nothing — but consider a scenario where installation or repair of on-site services requires a unionized worker, such as a plumber, electrician or welder. If they are recorded on hidden cameras without their knowledge the result could be a serious legal challenge. Best bet? Make all staff aware of hidden cameras; you limit liability and the presence of cameras often deters otherwise questionable behavior. Under the Fourth Amendment, Americans are protected from unreasonable search and seizure from law enforcement without a warrant. Typically, this means police can’t conduct surveillance or record conversations without probable cause and a warrant. For companies, this offers protection from unlawful observation but also presents a unique challenge: If you suspect an employee of fraud or theft but lack concrete evidence (and have no installed surveillance system) this may not be enough for police to obtain a warrant. On private property, the rights of business owners trump the powers of police to make audio and video recordings. When installing an outdoor time-lapse camera or motion-capture systems, businesses (understandably) aim to capture as much of the environment as possible. The problem? Many states — such as California — have laws that guarantee privacy. The result? If the area recorded by your cameras lies outside your premises, this could violate local laws by intruding on other businesses’ (or private residences’) expectation of privacy. The simplest way to avoid this issue? Have your security system installed by a professional, reputable organization that is familiar with local laws and can ensure your cameras capture the best view of your property without violating neighbors’ right to privacy. Most companies don’t realize that some states mandate the installation of cameras in specific locations. In New York, for example, Dance Halls and Cabarets must install cameras to help improve public safety. While state laws differ in this respect, owners and managers are well-served by evaluating the potential risk of any work environment — if the safety of staff and customers can be improved by installing cameras and these cameras are not present, the result could be legal liability. Consider a car dealership: If no cameras are present during a car theft and staff or patrons are injured by the fleeing thief, lack of security footage could be considered a failure to provide reasonable protection for the public. Surveillance systems offer real value but must comply with local laws. Avoid the most common missteps: Notify union workers, don’t rely on the police for surveillance, capture only what you own and always act in the interest of public safety.